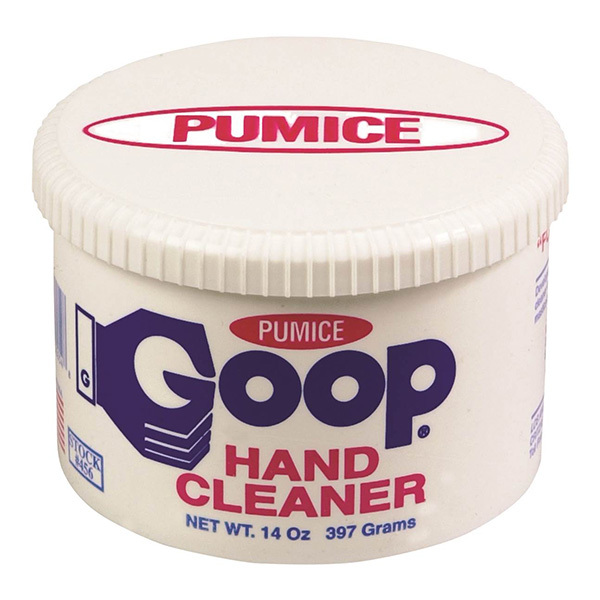 Original GOOP crème is a “waterless” hand cleaner that quickly and safely removes grease, paint, ink, tar, industrial soils and much more from your hands. Multi-purpose GOOP can also clean your tools as well as having multiple other uses throughout your household. GOOP Hand Cleaner only uses the highest quality, premium ingredients, making it safe for use on children’s hands. It is non-toxic and biodegradable, and is specially formulated with moisturizers and natural humectants to not only leave your hands clean but silky smooth. Best Uses: Remove glue-like substances, resins, paint and more from hands – or for cleaning serious grease and grime from scrubbable surfaces that won’t be damaged by an abrasive, like barbeque grills & outdoor cooking equipment.